These cinnamon buns baked in orange peels are one of the easiest, cutest, and tastiest treats you can make for breakfast, a sweet snack, or dessert. 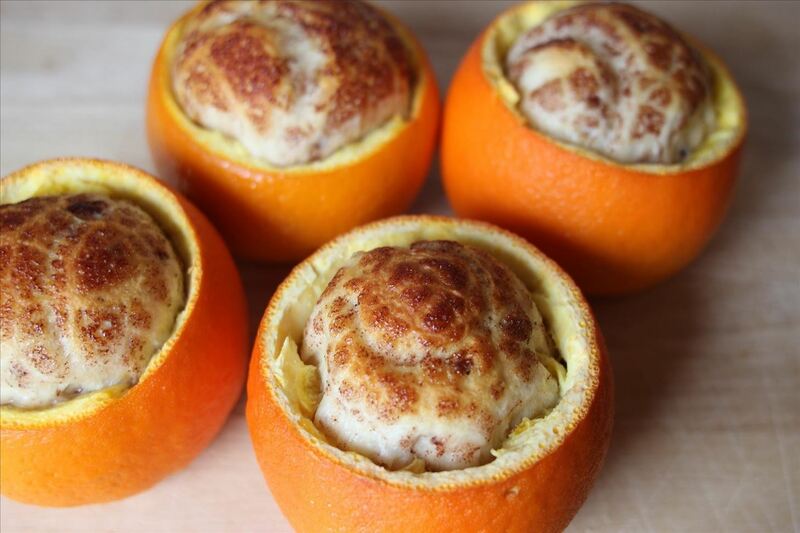 Whether you bake them in the oven or grill them over a campfire, the orange peels infuse the cinnamon rolls with a fragrant, citrus-y flavor. 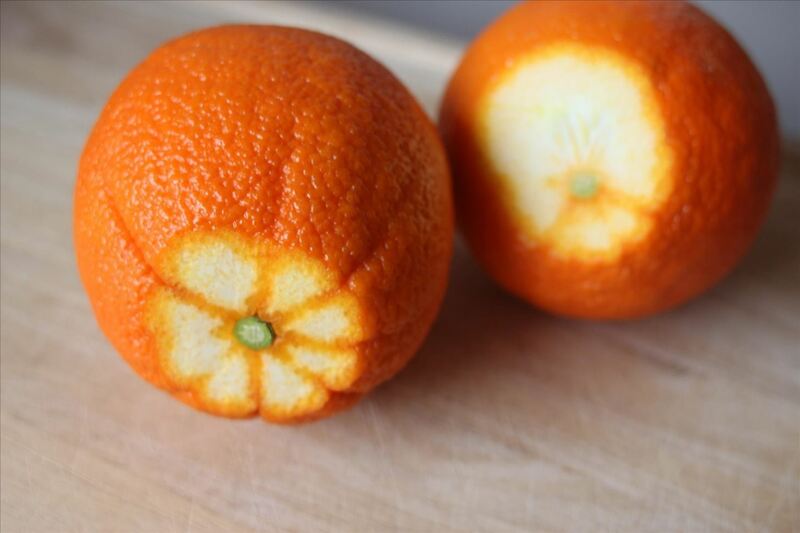 Slice oranges in half or 1/3 from the top. 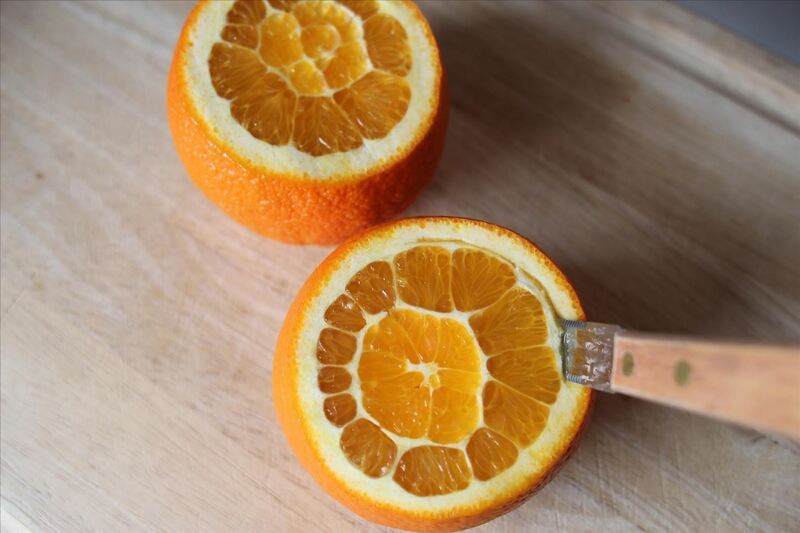 Cut a small slice from the bottom of each orange so that they stand up. 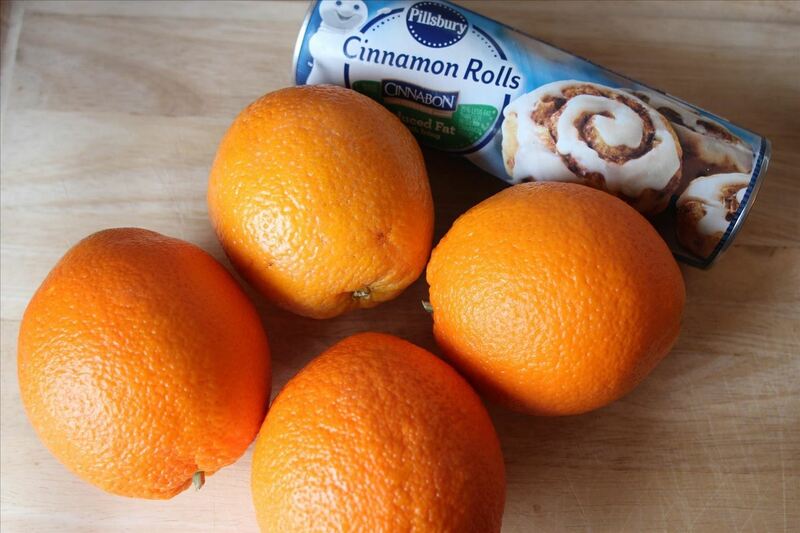 Pop open the tube of cinnamon rolls according to package directions and place one inside each hollowed orange. Bake on a pan according to package directions, adding about 2 minutes to the suggested time. If they start to get overly brown on the top, remove them from the oven. Warm enclosed frosting (if using) in the microwave, and then drizzle over the cinnamon rolls. Follow steps 1-5 in the oven-baking directions above. 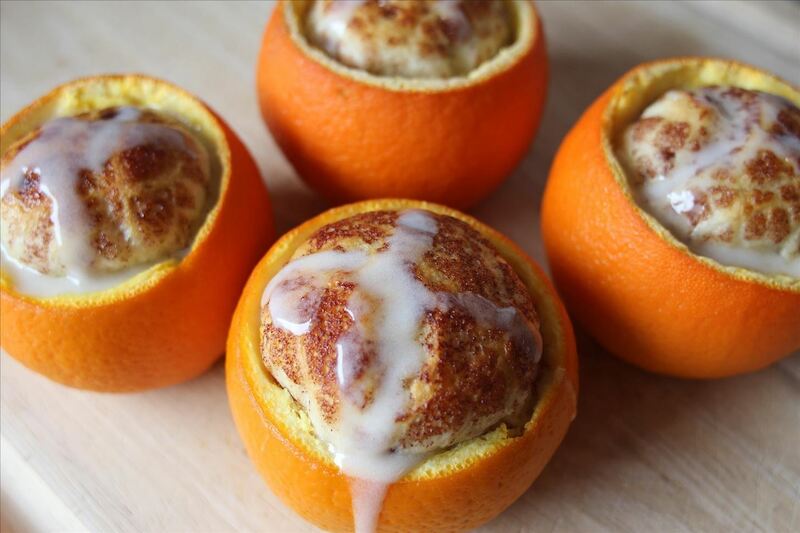 Place oranges on a fire-safe pan and cover the entire thing with foil. Place pan on a grate placed over a campfire and cook for 16–20 minutes, or until the cinnamon rolls are browned on the top. 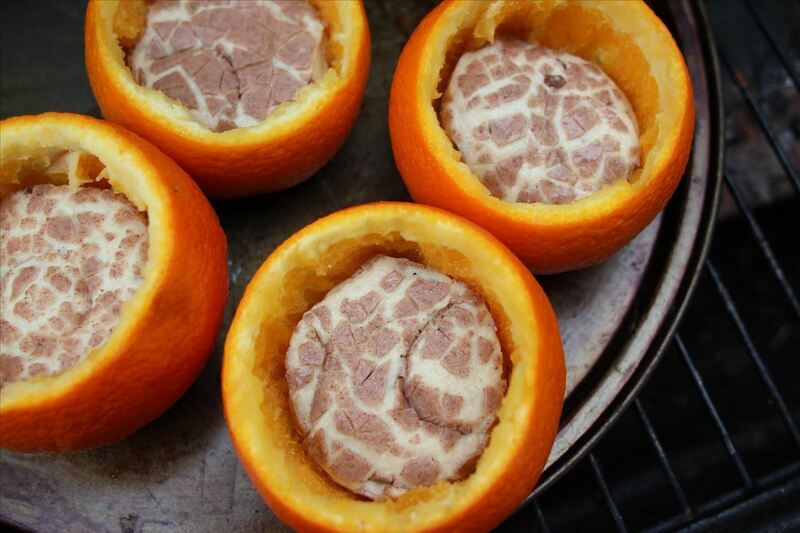 Wrap each orange in heavy duty foil and place them right on the red hot firewood (hot coals) on your campfire (not the flames). 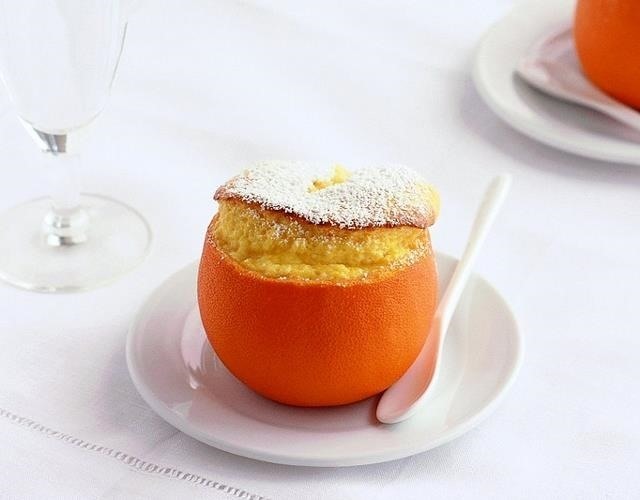 You can bake almost anything in orange peels, including homey treats like brownies and fancier desserts like Grand Marnier soufflé.